NOW TWIN TOWNS DINERS CAN ENJOY THEIR FAVOURITE ITALIAN RESTAURANT, GUSTI D’ITALIA, FOR LUNCH OR DINNER AND MAKE THE MOST OF DINING DEALS SPECIAL DISCOUNTS TOO! 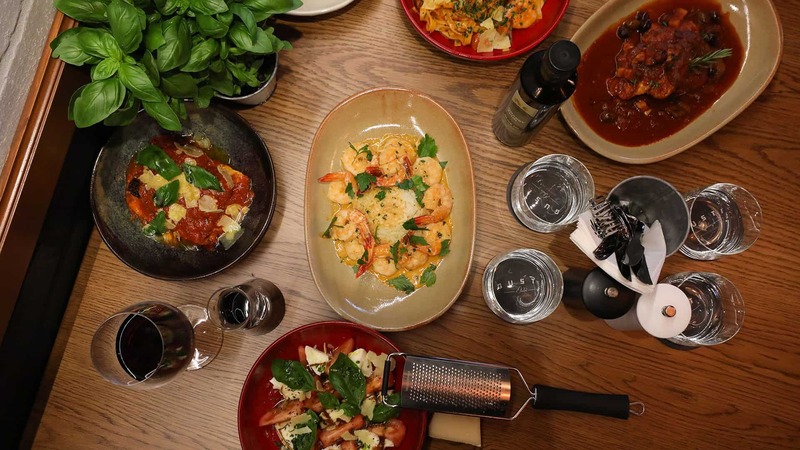 Focused on flavours, matched perfectly with contemporary visual appeal, Gusti d’Italia’s menu features dishes that draw on authentic tastes of Italy, prepared with the best and freshest local and Australian produce. Entrees on the new lunch menu include stone-baked breads, olives, classic Italian cheese and garlic bread, arancini and Parma and melon salad. For mains, ‘Traditionalists’ should try the tender crumbed veal with Marsala sauce, beef carpaccio with fried artichoke or house-made pasta with bolognaise or marinara. Classics such as garlic prawns, gnocchi and risotto of the day are also now available for lunch. For full lunch and dinner menus go to www.twintowns.com.au/dining Gusti d’Italia opens for lunch Wednesday to Sunday from 11.30am to 2pm Qld and for dinner Wednesday to Saturday from 5.30pm to 9pm Qld.